The ability to see well is crucial for optimal growth and development for a child to meet the recommended milestones. Diagnosing eye diseases or other problems related to vision is therefore important at an early age so that preventative measures or treatment options can be provided. It takes a specialist pediatric optometrist or ophthalmologist to detect and treat vision disorders in children. 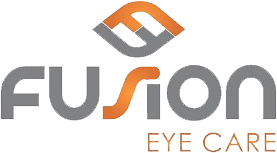 At Fusion Eye Care, our specially trained staff and doctors are trained and experienced to take the special needs of children into account, especially the fact that they may be anxious regarding an eye examination. Our Raleigh eye care clinic provides a child-friendly environment that is full of fun to make the experience more enjoyable for our young visitors. 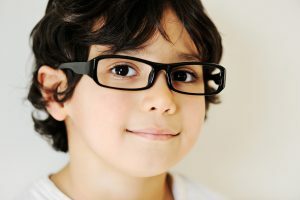 Screening for health conditions that could affect vision such as childhood diabetes or juvenile rheumatoid arthritis. In order to test and/or diagnose vision problems correctly, it may be necessary to dilate the pupils. Eye drops are used to this effect which could take up to 45 minutes to activate and may sting initially and result in blurry vision as well as sensitivity to light. Children can entertain themselves in the waiting room play area during this period to keep them distracted. These symptoms can last around 24 hours, and we will provide a pair of disposable sunglasses to alleviate any discomfort. Make An Appointment With Our Raleigh Optometrist! 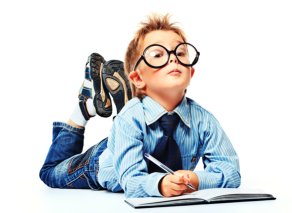 Even if you don’t feel that your child has vision related problems, it is important to have them tested. Our eye care specialist team will book an appointment at your convenience to ensure that any issues are detected and diagnosed early on. Before your visit, we recommend that you do some additional research into pediatric eye disorders and diseases. Visit the Strabismus and Prevent Blindness North Carolina or American Association for Pediatric Ophthalmology for further information.